Another early run went by the wayside after another not brilliant night’s sleep. Skipping a Friday morning run would normally lead to a missed Friday night run as my good intentions dwindle as the day goes on. But this is Janathon! And there can be no skiving, because then other people mock you on twitter. So off I went (weirdly, I was quite enthusiastic about the whole enterprise). As runningman856 pointed out, running under the cover of darkness hides a multitude of running kit sins and I have found that the advantage of wearing my hi-vis bib is that I can wear it over otherwise unworn tops that have become a little too snug for public viewing. Tonight was mild though and I thought I would give one of my race t-shirts a bit of an airing. 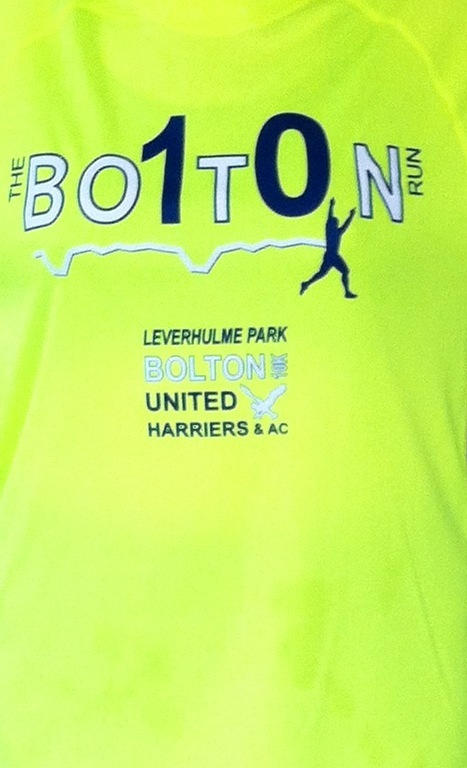 I have always thought that the Bolton 10k t-shirt is a little too bright for daylight (and possibly a little too bright for the human eye) but this seemed like a good night to finally wear it for its designed purpose. Earned on a rainy day. No medal though. Sigh. Wearing a race t-shirt also had the dual purpose of showing to the world that this was not merely day 4 of a new resolution (JogBlog has a handy guide to not looking like a gym newbie if this is a concern to you, whereas if newbies are a thorn in your side, Cake of Good Hope has a handy guide for you to be a bigger hearted, better runner). All in all it was a splendid 4 miles at a pace that I’ve certainly not seen in a while – it’s early doors, but Janathon has definitely put a spring in my step today. Was it REALLY #Janathon that put a spring in your step, or was it the wine, beer and disarranno. Or merely the thought of my wooly pants/bikini/thong contraption. Ye gods, that top is bright! Great way of showing you are a proper runner! 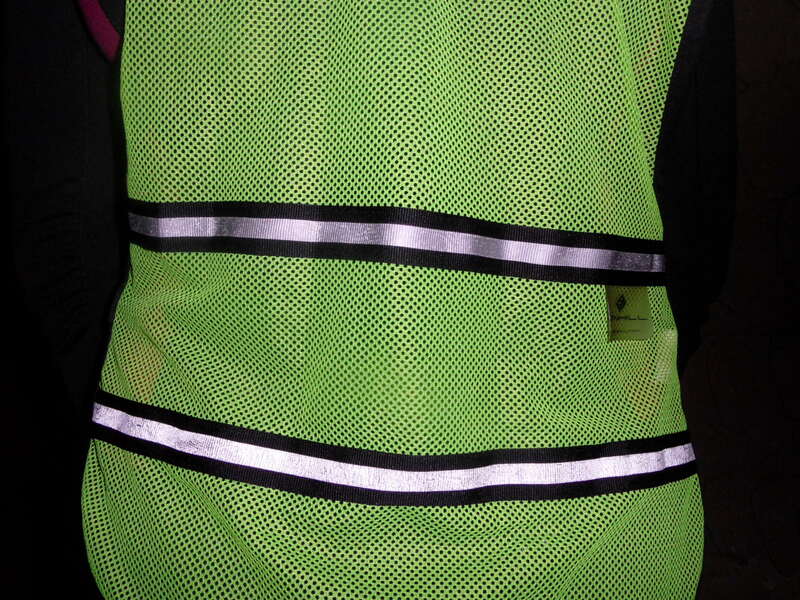 Hi-vis vests: the exercise equivalent of pyjama bottoms after dinner?